الموضوع: شهادة فى التحليل الفنى ؟؟؟!!! رد: شهادة فى التحليل الفنى ؟؟؟!!! 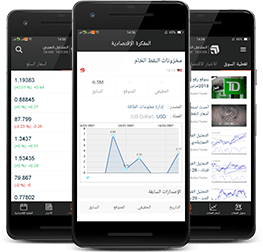 he Egyptian Society of Technical Analysts (ESTA) (A non-profit organization) is the first professional technical analysis society in the Middle East, was established in May 2000 as a developing society under the International Federation of Technical Analysts (IFTA). And by July 2002 the society was granted the full membership of the International Federation of Technical Analysts (IFTA), and that placed the Egyptian Society of Technical Analysts (ESTA) as one of the top societies around the globe, along with STA (England) and NTAA (Japan), and due to the growing confidence between the Society and the International Federation of Technical Analysts IFTA and its member societies, the Egyptian Society of Technical Analysts will be hosting the IFTA annual conference in Sharm El- Shiek during November 2007.